As you celebrated the new year recently with a few (or perhaps a few too many) drinks, one essential item likely helped get you through the night — water, bottled please. While out at bars or even in the office or home, bottled water can come to your rescue when you are tired, dehydrated and too lazy to go to a tap. You are not alone. Billions of people can get it anywhere, anytime for a small personal cost. But at what cost to the planet overall? Total annual global sales of over 150 million cubic metres ring in at up to US$100 billion. Developed countries alone consume over one billion bottles weekly. At a time of global water crisis, bottled water sales are increasing exponentially as water companies make record profits. The “bottle-isation” of world water presents serious environmental and ethical challenges that transcend national boundaries. Activists have campaigned vigorously to “throttle the bottle”. But how appropriate are their approaches in light of changing global consumption? And what, if anything, can you do to help stem the flow towards bottled water? 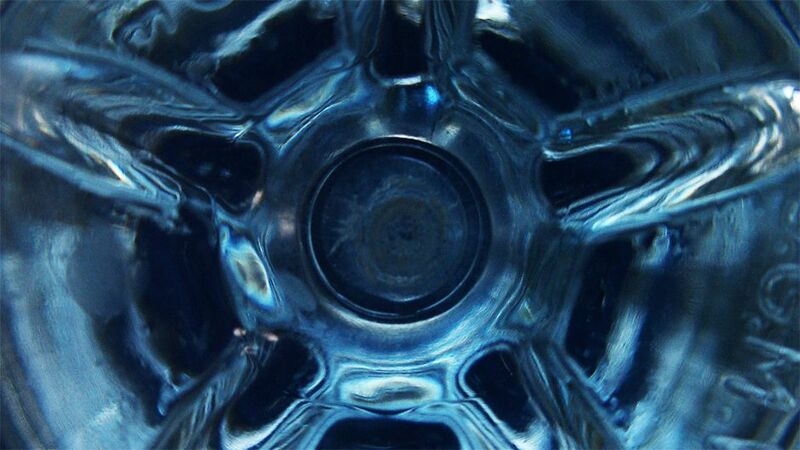 Consumption of bottled water in one part of the world has ripple effects in another. In some cases, essential resources are being transferred away from vulnerable communities towards consumers who already have access to clean water at a fraction of the cost. In Fiji, one Fiji Water factory produces more than a million bottles daily for the United States, while “more than half the people in Fiji do not have safe, reliable drinking water”. There is worldwide competition for scarce fresh water resources in this era of rapid globalisation. In Lahore, Pakistan, Nestle operates unchecked in direct competition with local residents for precious groundwater. Poor communities like these are most likely to lack access to safe drinking water and be least empowered to defend their rights against powerful interests. In addition to such moral complexities, there are well documented environmental impacts. The lowering of ground water tables and over extraction of local water supplies intrudes upon people’s livelihoods. Local villagers in India have blamed a Coca Cola bottled water plant for declining water levels and harm to local agriculture. Like other packaged drinks, bottled water contributes to global warming through its extraction, manufacturing, packaging, transportation and disposal. The cold facts include over 2.5 million tonnes of carbon dioxide and 1.5 million barrels of oil used in production (2006), and that is excluding transportation. Unrecycled bottles — a whopping 80% of those consumed — further affect water and energy cycles by generating tremendous landfill. Attempts have been made to comprehensively calculate the “brook-to-bottle” ecological footprint of a single bottle. Sustainability engineer Pablo Päster’s formula found that 6.74kg of water and 250 grams of greenhouse gas emissions are required to produce and deliver each one litre bottle of imported water. Multinational companies defend their “right” to produce, package and market their product within a “regulated” and competitive industry. They reject accusations of environmental damage and even go so far as arguing that bottled water is good for the environment. Ideas that aim to turn the bottled water tide range from the more mainstream Think Outside the Bottle organisation that educates consumers about the consequences of their purchases, to the more aggressive “bottled water drinkers are the new smokers” approach. Presently, anti-bottled water campaigns target developed world consumers driven by convenience, taste and “health” factors, rather than necessity. They generally do not engage those living in emerging market countries who are enabled by rising incomes and encouraged by state failure to provide potable water to become bottled water drinkers. Statistics from as early as 1997 hint that the long term problem will be in developing countries. By 2004, Mexico, China and Brazil comprised three of the top four consuming countries. From 1999 to 2004, India tripled and China doubled their consumption. We can guesstimate based on current trends that Asian consumption will be more than North America and Europe combined within ten years. Source: p. 169, Peter H. Gleick 2006. “Bottled Water: An Update”, in The World’s Water – the Biennial Report on Freshwater Resources: 2006-2007, Inland Press. As incomes rise the tiresome boiling of unclean water becomes an unattractive chore, hence dependence on bottled water becomes more habit than choice for many. Political scientists observe that growing middle classes often call on governing elites to provide better services. Will these newly-minted bottled water drinkers be willing to pressure governments for water infrastructure? As we dilute our unattainable new year’s resolutions, we secretly know that old habits die hard. Even if bottled water in itself is not wrong, is water itself a right? The 1977 Mar del Plata Action Plan declared that “all peoples…have the right to have access to drinking water in quantities and of a quality equal to their basic needs”. Yet, 1.1 billion people (one in six global citizens) lack a safe drinking water supply. In order to achieve the UN Millennium Development Goal that calls for halving that number by 2015 an estimated investment of US$11.3 billion annually would be needed. Interestingly this is well below the US$15 billion that Americans spent on bottled water in 2007. The title of the United Nations World Water Development Report 2, “Water: a Shared Responsibility” is apt. The present movement against bottled water reflects the interconnected relationship between humankind and water, as well as the links that humans have to each other through water. Addressing the problem necessitates fluid institutional and non-governmental global responses that reflect future consumption trends. The long term solution requires that people in the Majority World have safe drinking alternatives through the effective actions of communities and governments providers, rather than through their ability to purchase bottled water. Inevitably, such a challenge will outlast the International Decade for Action (2005-2015), labelled as “Water for Life”. In the meantime, creative adaptation measures are taking place, one of which even includes a bottled water company in the process. Volvic’s “Drink 1, Give 10” collaboration with UNICEF provides clean water to poor villagers in Ethiopia, Niger and Mali. Another elaborate plan proposes to generate crude oil from plastic waste. In our next special report on bottled water, we take a closer look at the plastics statistics and consider the potential benefits and risks of such initiatives. From naïve to Evian by Mark Notaras is licensed under a Creative Commons Attribution-NonCommercial-ShareAlike 3.0 Unported License. i drink evian because it doesnt contain fluroride , fluroride is poison chances are if your drinking tap water your putting yourself at risk plus with parasites .